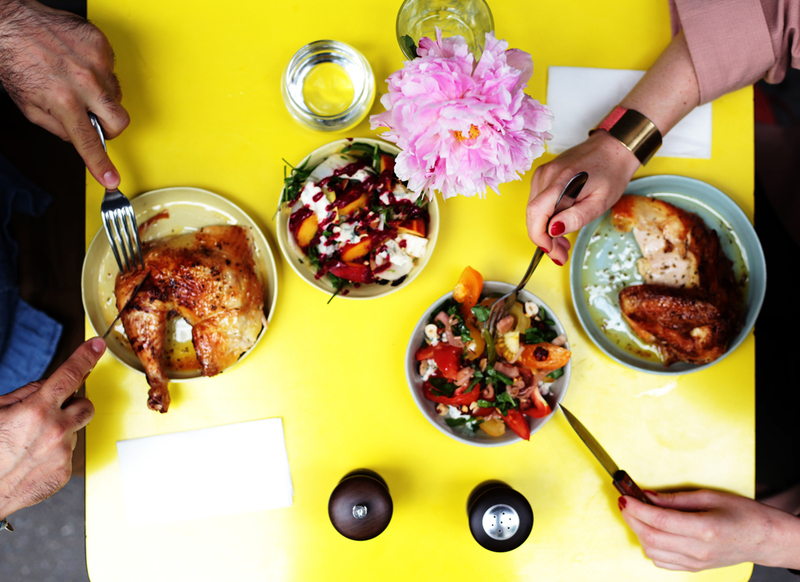 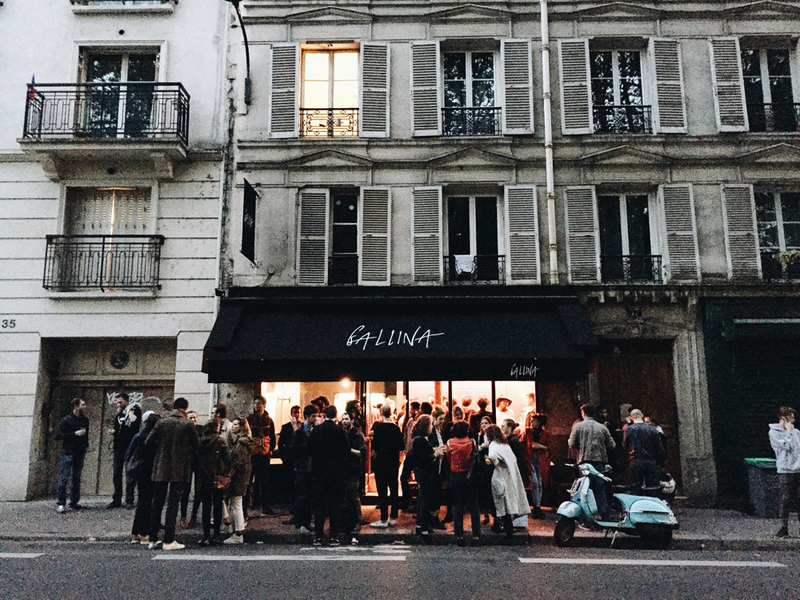 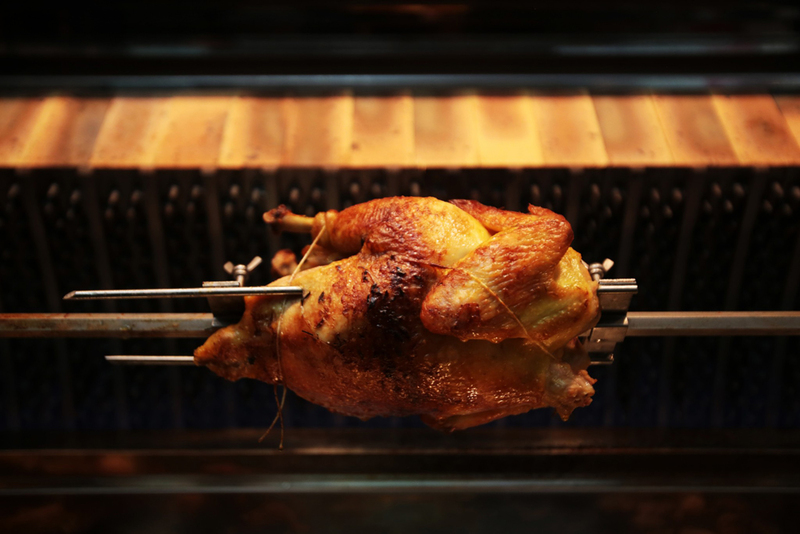 Gallina is a rotisserie bistro & cocktail bar located in the heart of fashionable area of the Canal Saint Martin in Paris. 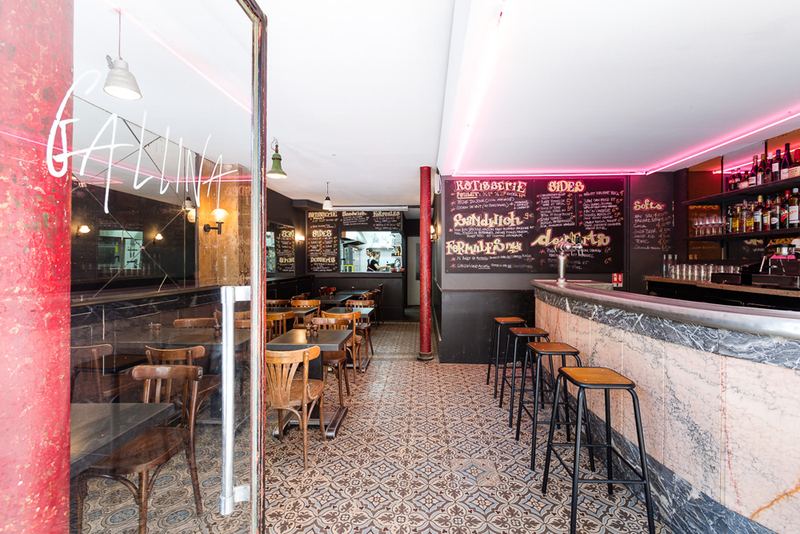 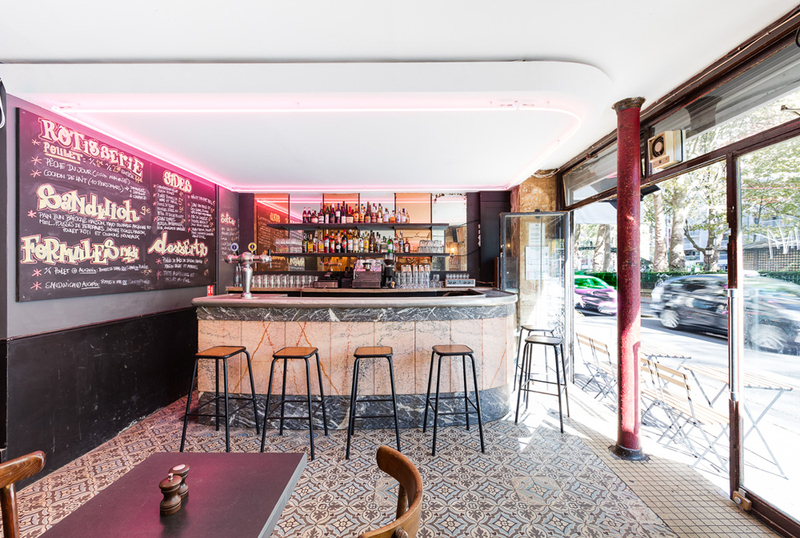 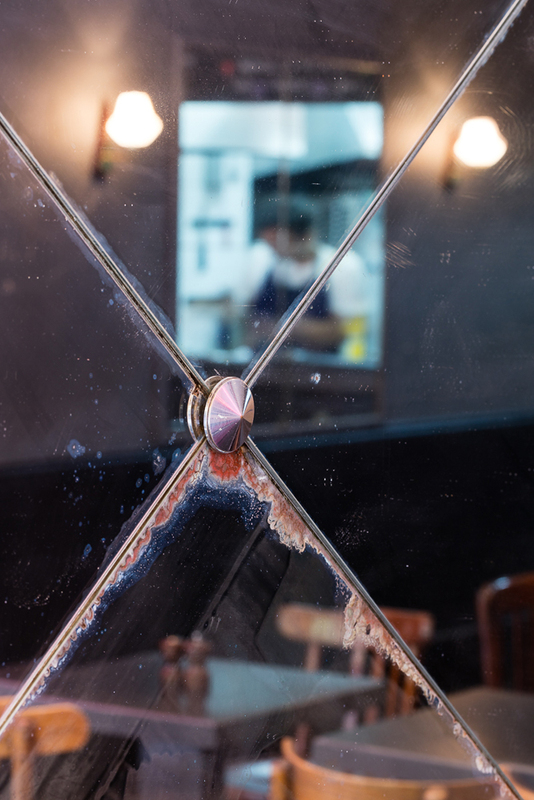 The original features of the 50’s brasserie were restored to their full glory: zinc and pink marble bar, patterned concrete floor tiling and tiled wall mirrors. 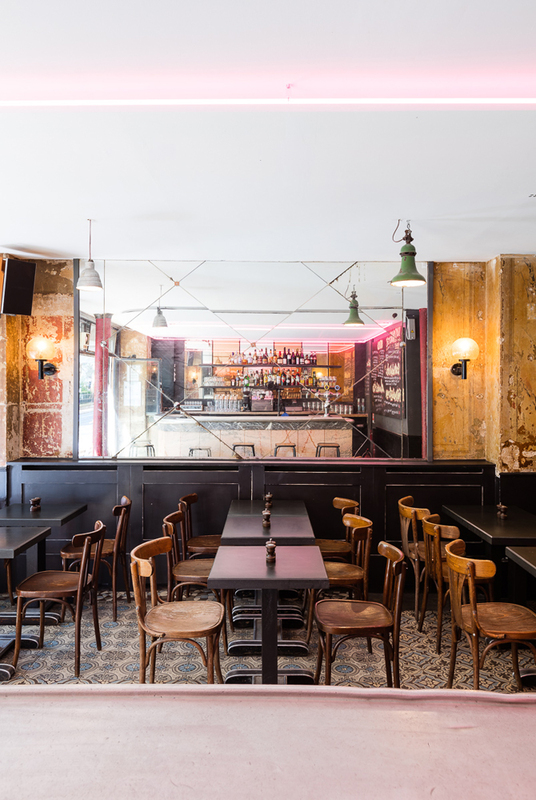 To ensure an harmonious environment, the aim was to link such divers elements with one single dark finish for the wall, complemented by black tables and shelving and bistro seating. 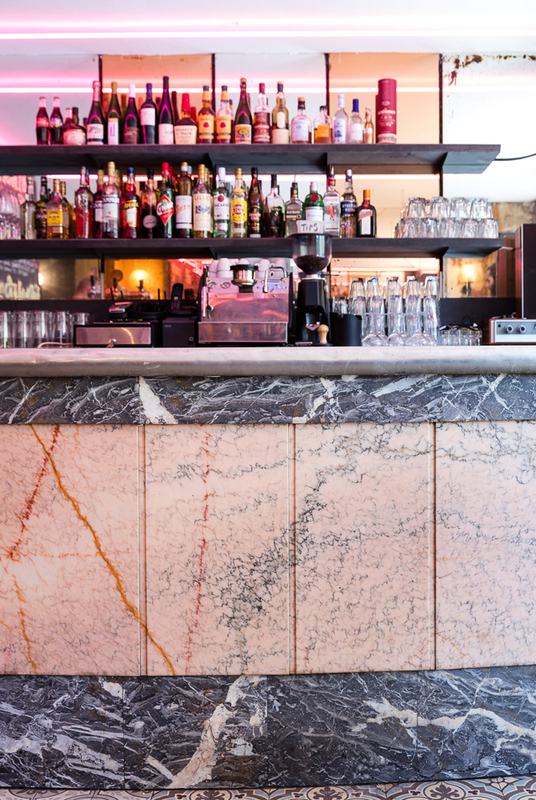 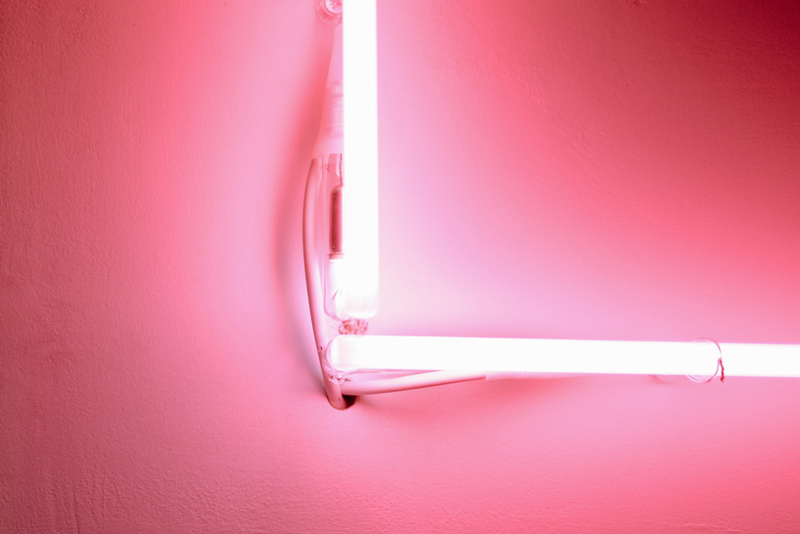 A feature neon above the bar mirrors the original counter pink marble.